We are a quarter into 2016 and can’t believe how fast this year has been going. 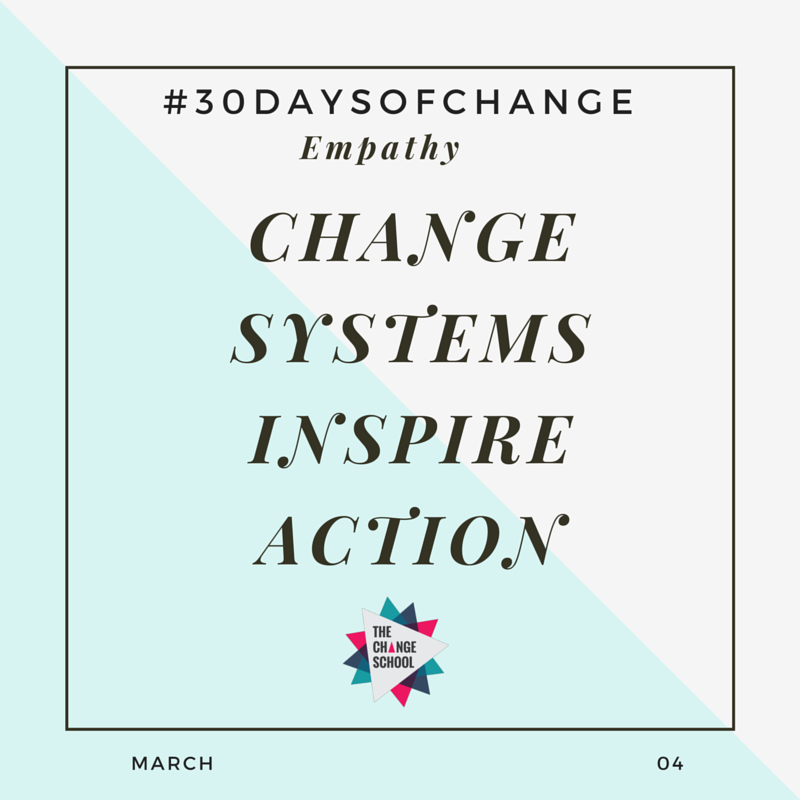 In the month of March our #30daysofchange was focused on building Empathy. Empathy is a skill that is becoming ever more important in for the 21st Century and beyond. 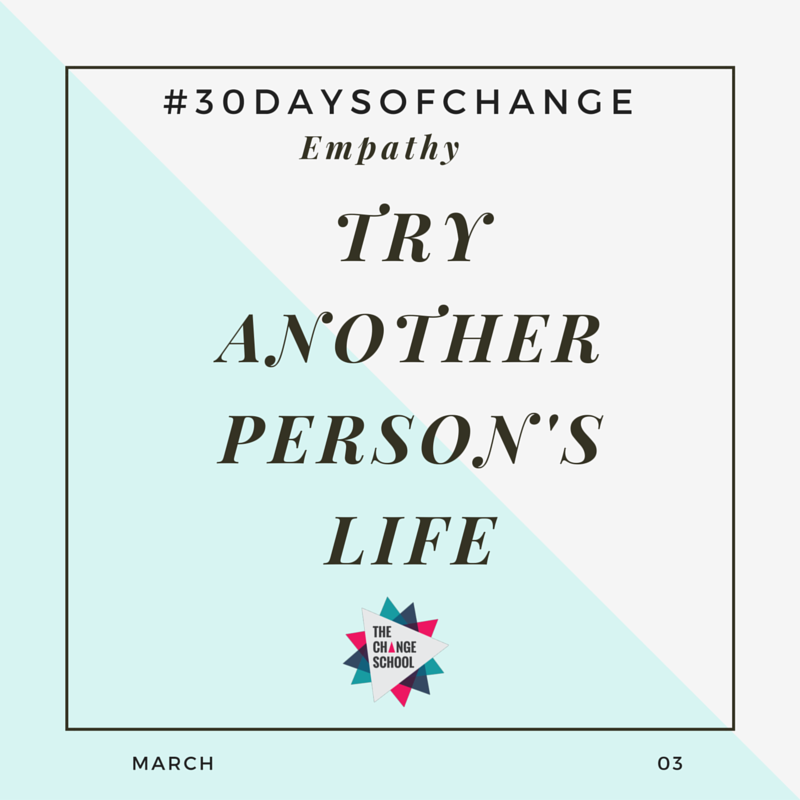 Empathy is about having the ability or experience to understand another person’s point of view or situation. It’s like placing yourself in someone else’s shoes to feel how and what they are feeling. It is a skill that allows us to build a better understanding in both work and life. 01 – Build your listening skills. In order to cultivate empathy we need to build our active listening skills. We are all culprits of half-hearted listening and it is a skill we should all practice. When listening to someone try and summarise what they have said before giving your opinion. 03 – Try another person’s life. It is not until we're able to experience someone else's life will be begin to really understand their situation. One type of empathy is EXPERIENTIAL empathy. Go on an adventure, take a trip to gain direct experience of other people’s lives - it will change your life. 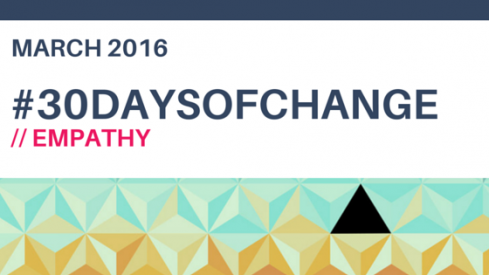 04 – Change systems and inspire action. 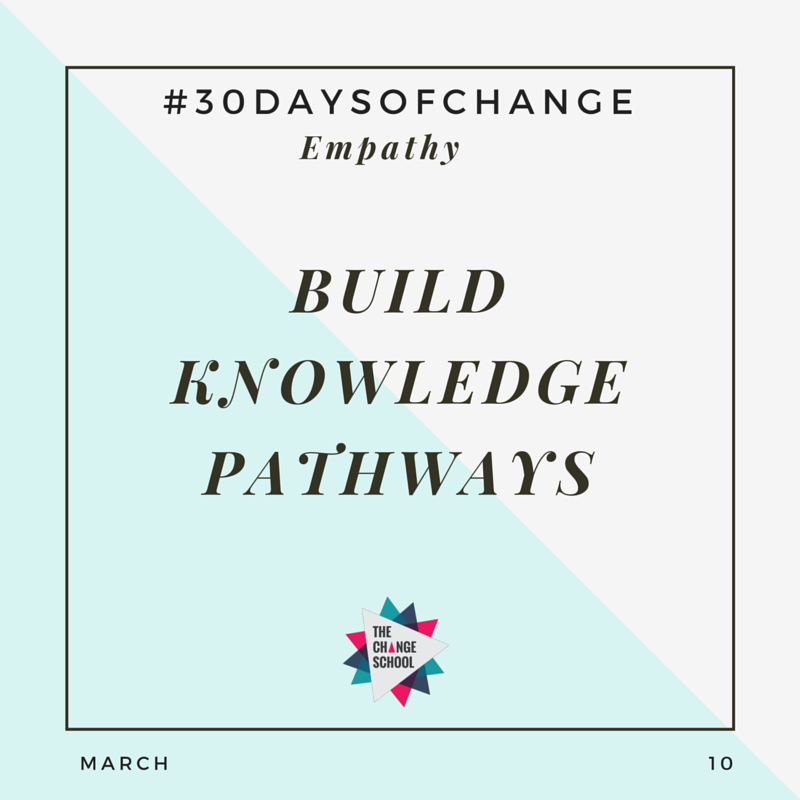 Highly empathetic people work to inspire change and enable movements that can aspire others into action. Think about how you are doing or can do to create or inspire change from the bottom up. Everything is a system and we need to learn to think on a much more systemic level. 05 – Fine tune your observation skills. 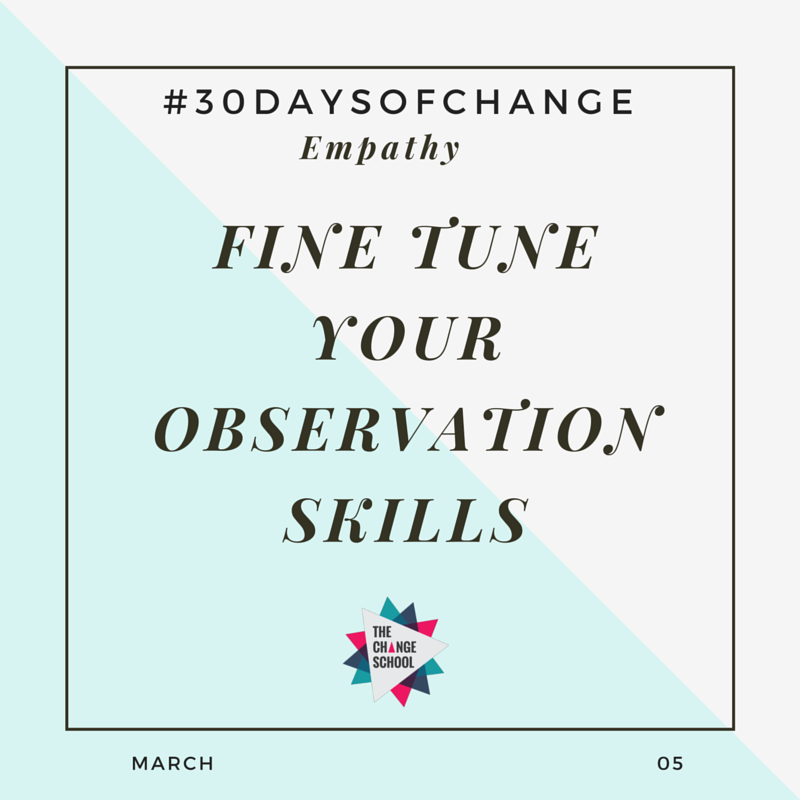 Daniel Goleman in his book, Social Intelligence, states that “the more sharply attentive we are, the more keenly we will sense another person’s inner state.” Today take time to review your observation skills. 06 – Understand the needs of people around you. If we can try and understand the needs of other people we will be able to solve problems better, communicate better and work more collaboratively. When speaking with someone today, really try and understand where that person is coming from, what their perspective is and what their background or experience is. This will help you to better appreciate their point of view. 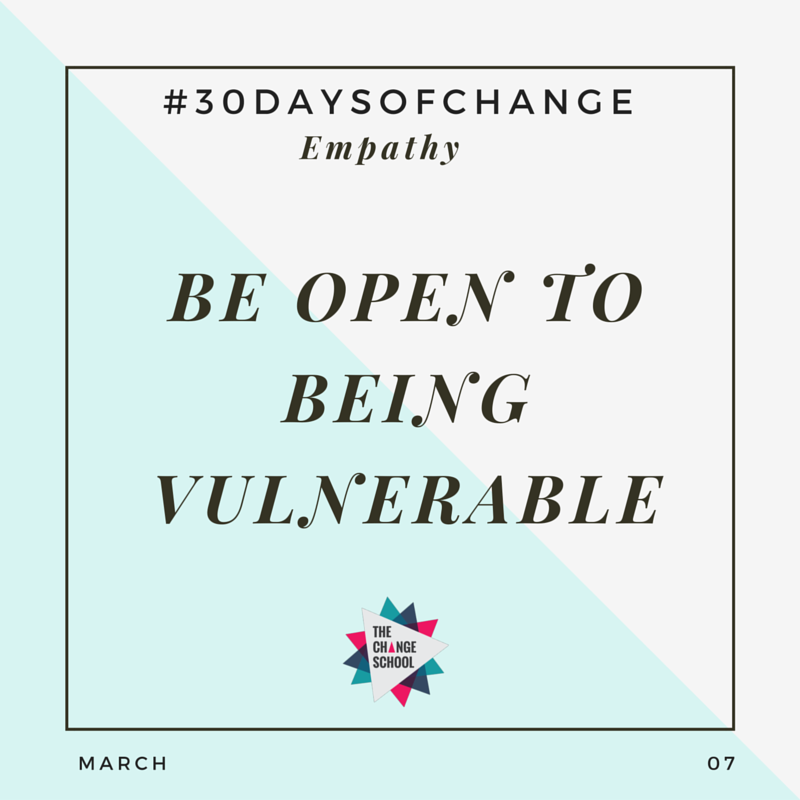 07 – Be open to being vulnerable. We all fear being vulnerable. Be vulnerable with someone today and show them all of you, the good, the bad, the crazy. 08 – Limit judgement. How often or how fast do you judge someone or something? It is common for one to judge another at the initial meeting but our judgement is not always right. 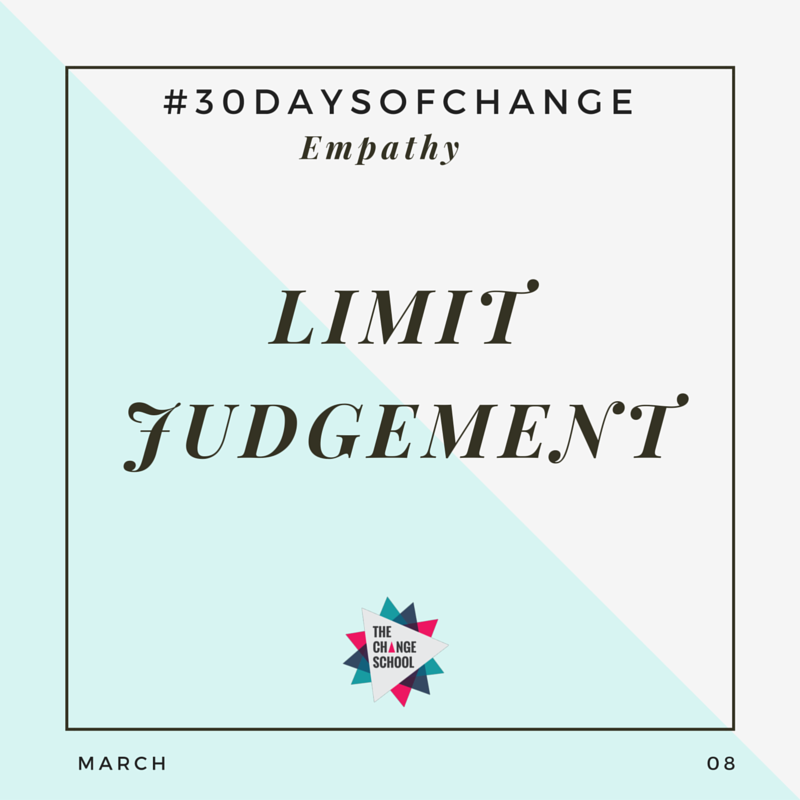 If we can work on limiting our judgement we may be surprised at what possibilities and new relationships or connections we may build. Limiting our judgement also helps us to see different perspectives that can help us in work and life. 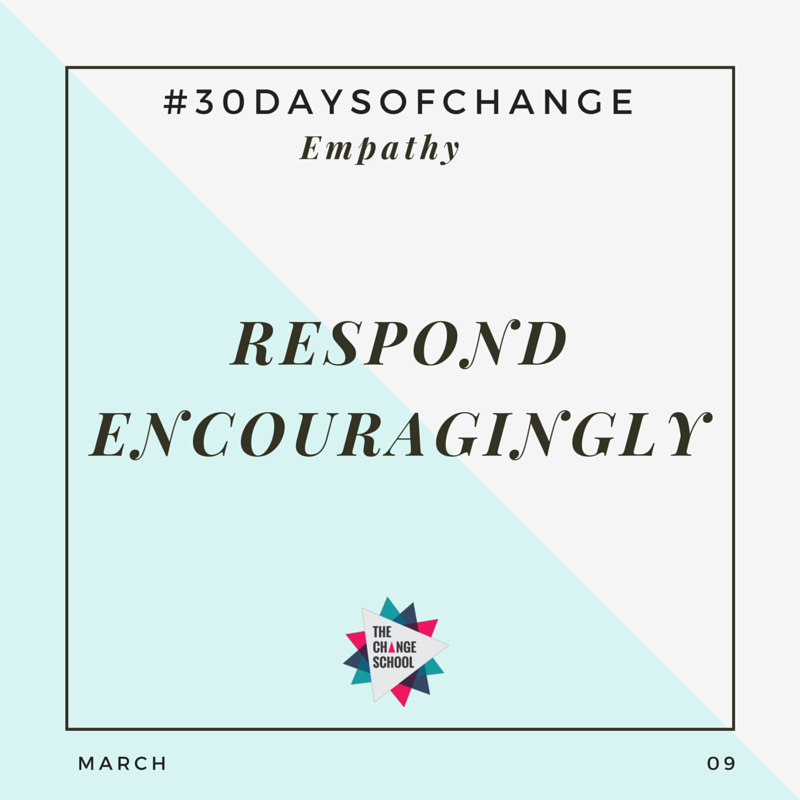 09 – Respond encouragingly. Earlier on this month we suggested to work on our listening skills. If you've been doing that try to listen to the person, understand where the person is coming from nd then respond encouragingly. 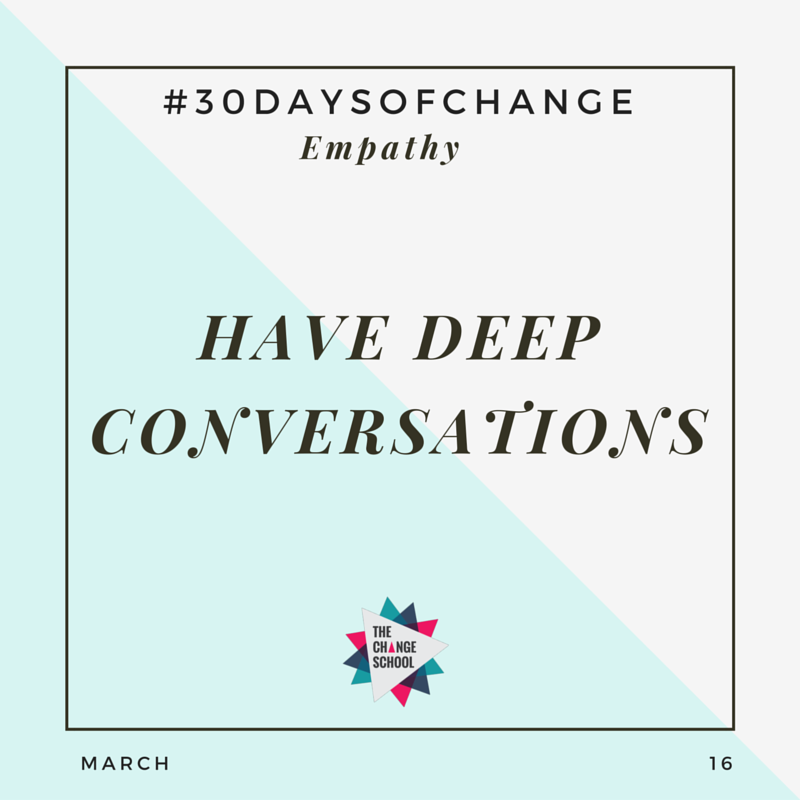 Have an empathetic conversation today. 10 - Build knowledge pathways. Continuous learning is key to growth. Change doesn't happen over night. 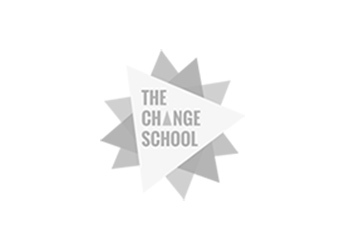 If you're determined to make a change we highly suggest always looking at new ways of learning. Some ideas are reading books, joining communities, peer learning and sharing. To build your knowledge and understanding of empathy further why not read this book on The Art of Empathy. 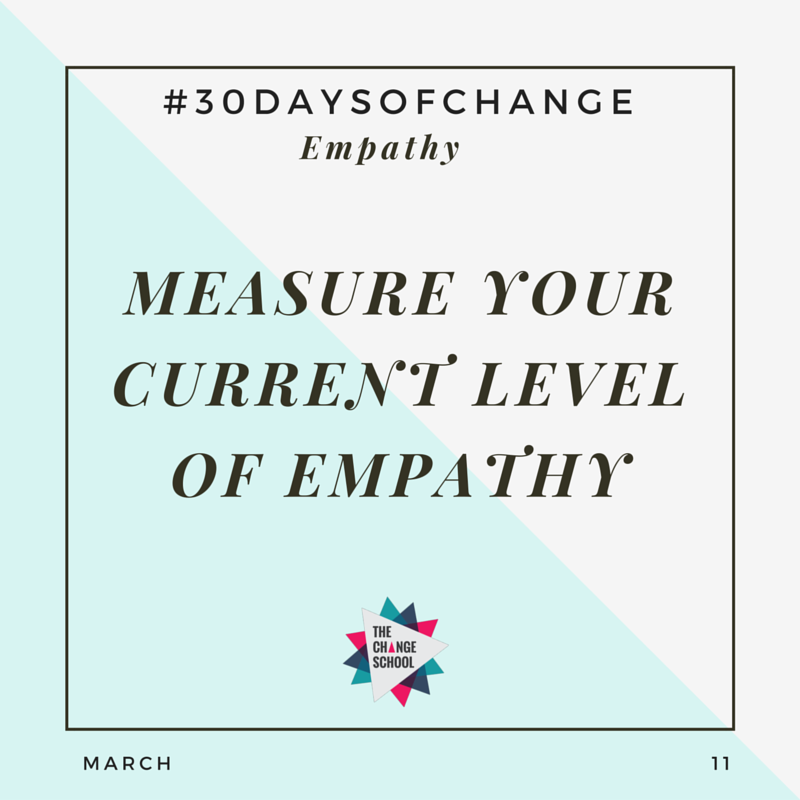 11 – Measure your current level of empathy. If we don't know where we stand right now how can we know where there are opportunities for growth? Self assessment and self awareness are key to moving forward. Take this empathy quiz to gauge your current levels of empathy. 12 – Be flexible. During conversations or interactions with others realise that people’s thoughts and feelings can change. 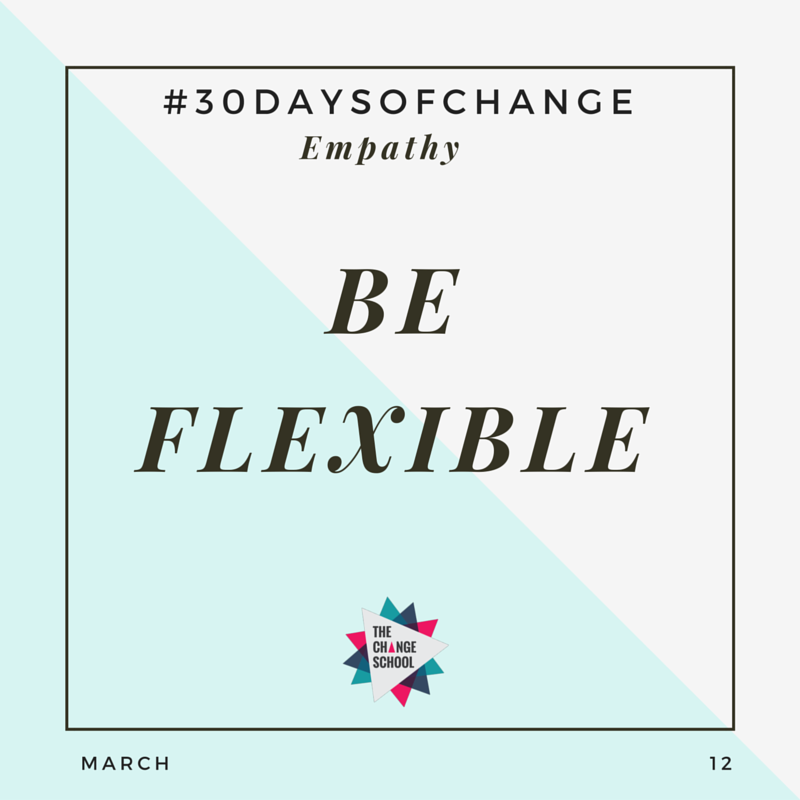 When practicing empathy its necessary to be ok with change and to be flexible with where the conversation or interaction may go. Practice going with the flow. 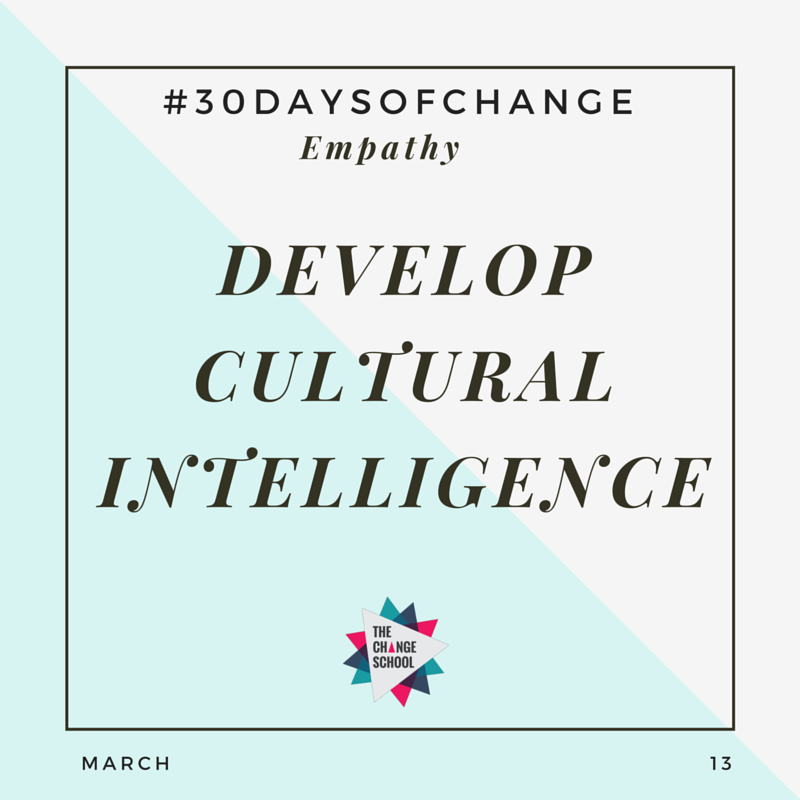 13 – Develop cultural intelligence. Following on the idea of better understanding others, one should look at their level of cultural intelligence. Often an area that is under developed in society, Cultural Intelligence includes cultural understanding and awareness. 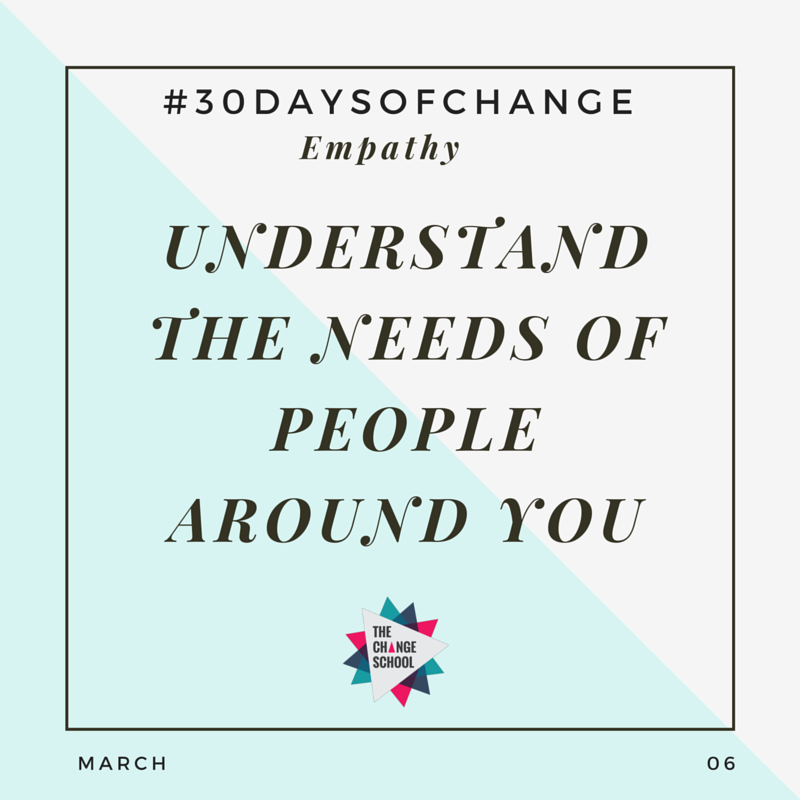 Having a higher sense of CQ allows us to be more sensitive and aware of other people’s situations which in turn enables us to be more empathetic. 14 – Challenge prejudices and stereotypes. Reach out to someone today who you maybe somewhat uncomfortable in being around and try and get to know them. 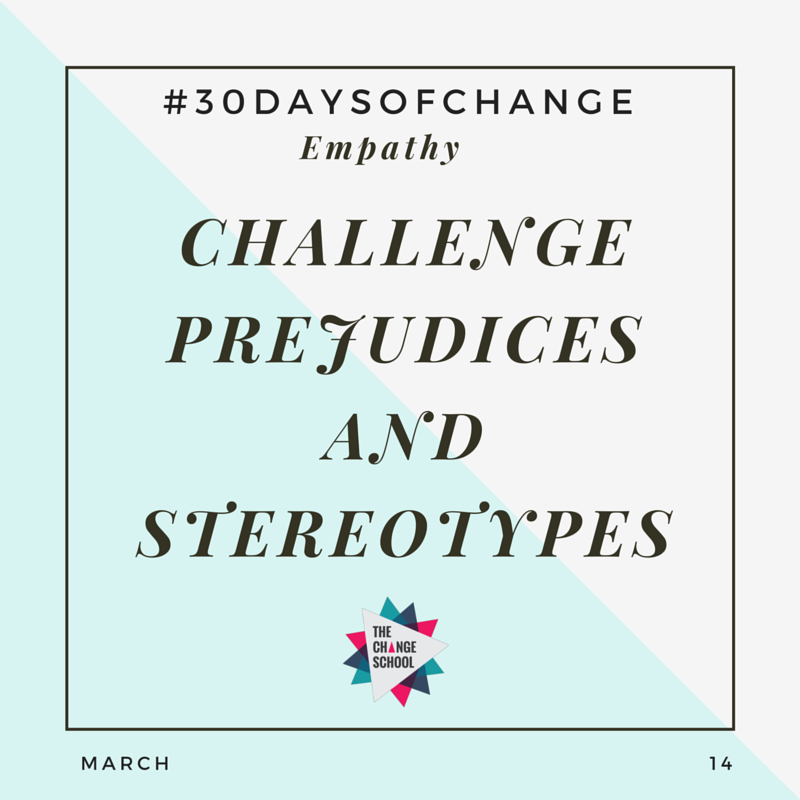 If we can challenge our prejudices and stereotypes we are one step closer to being more empathetic. 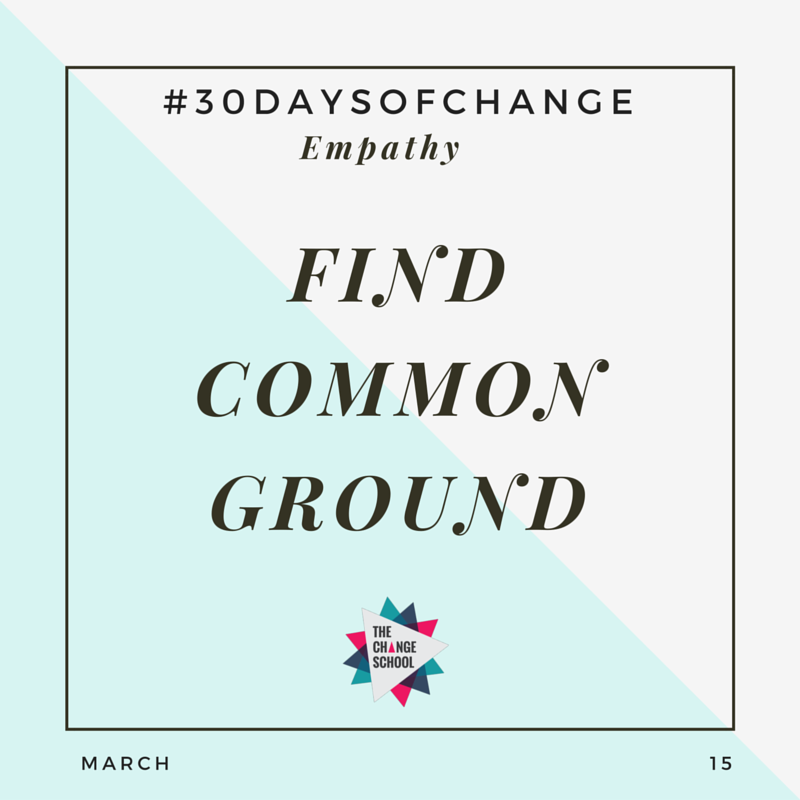 15 – Find common ground. 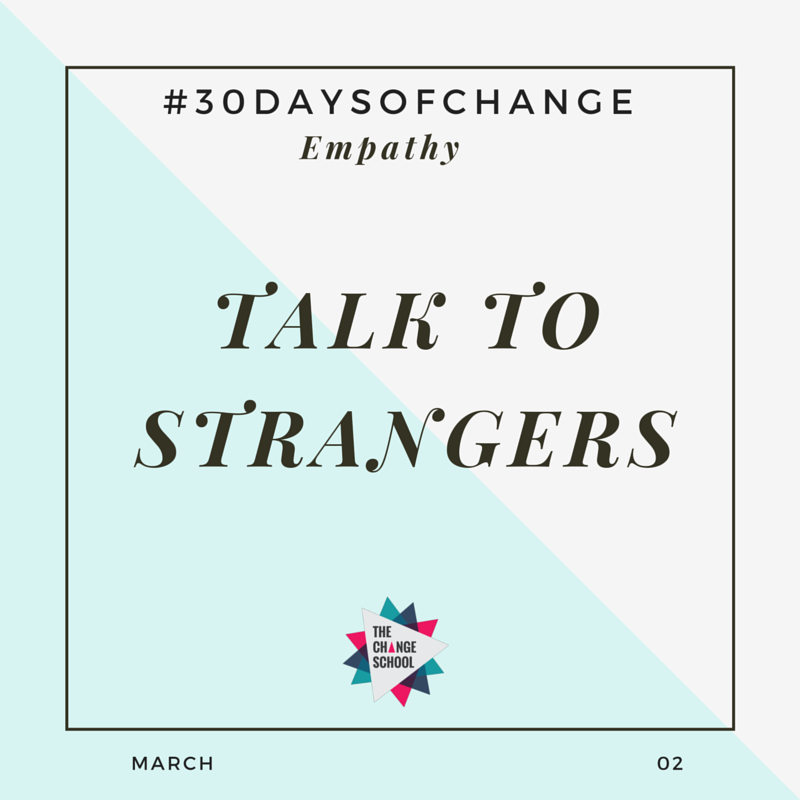 Yesterday's tip was to meet someone you are uncomfortable around, today do the same but try and find a common ground and understand WHY they think the way they do. If you struggle to find someone who you are uncomfortable around go to an event that you would not usually go to and speak to people who are coming from a different sector or country. 16 – Have deep conversations. When we meet new people we only touch the surface in many of our conversations, give time and energy into going deep in conversations with someone today. Move from just saying "Hi, How are you? or What do you do?" 17 – Pay attention to your non verbal expressions. 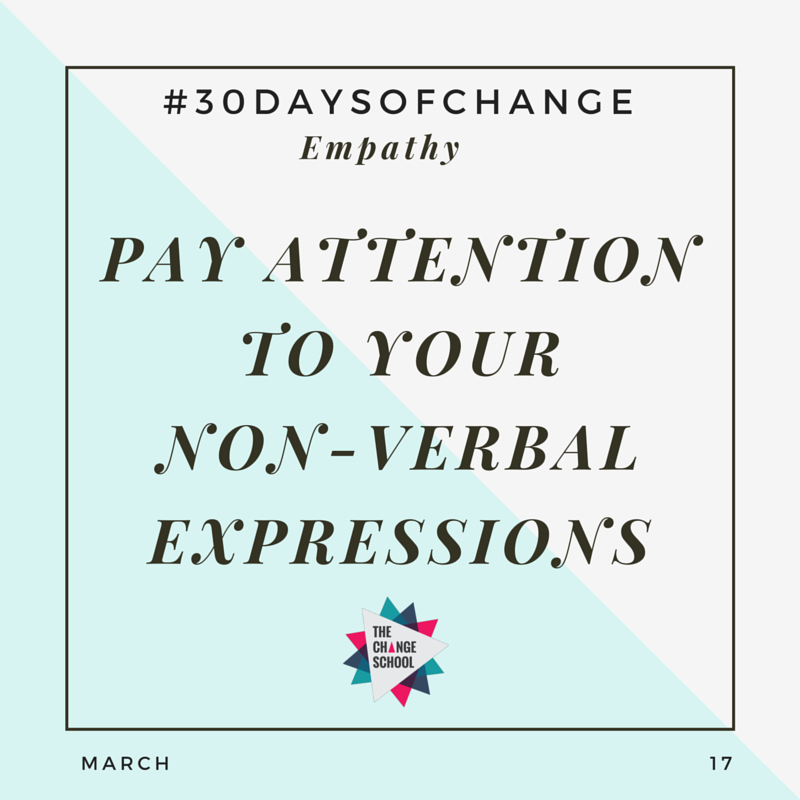 Today increase your awareness about your self and our non-verbal expressions when we are interacting with others. 18 – Ask for feedback. We can only improve ourselves if we have a constant feedback loop. 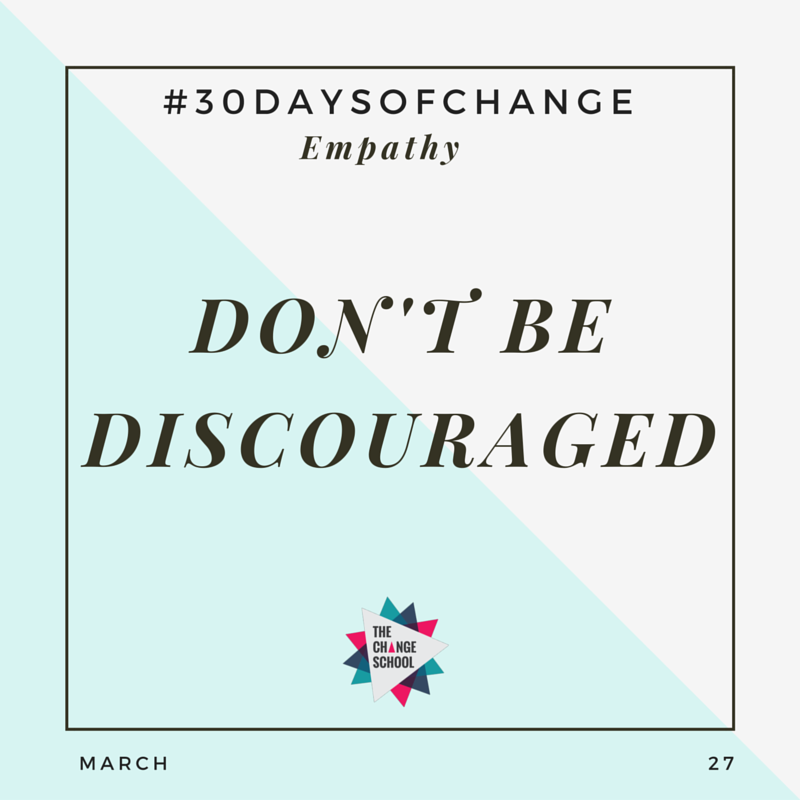 Reach out to at least 5 people today for feedback from your friends, family or colleagues on how empathetic they think you are as a person. 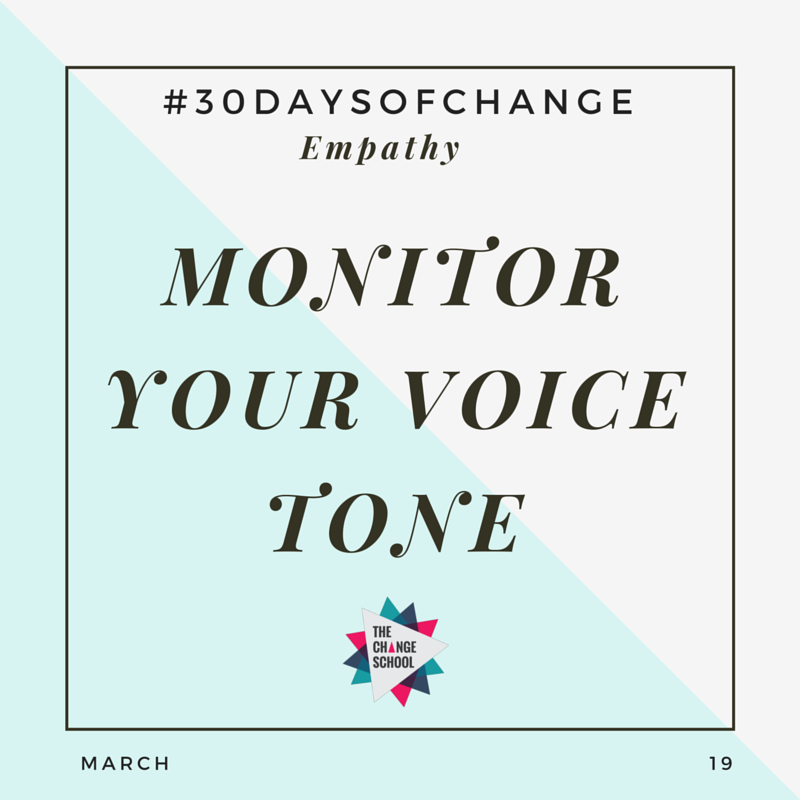 19 – Monitor your voice tone. When speaking to others listen to your tone of voice. How are you expressing yourself? 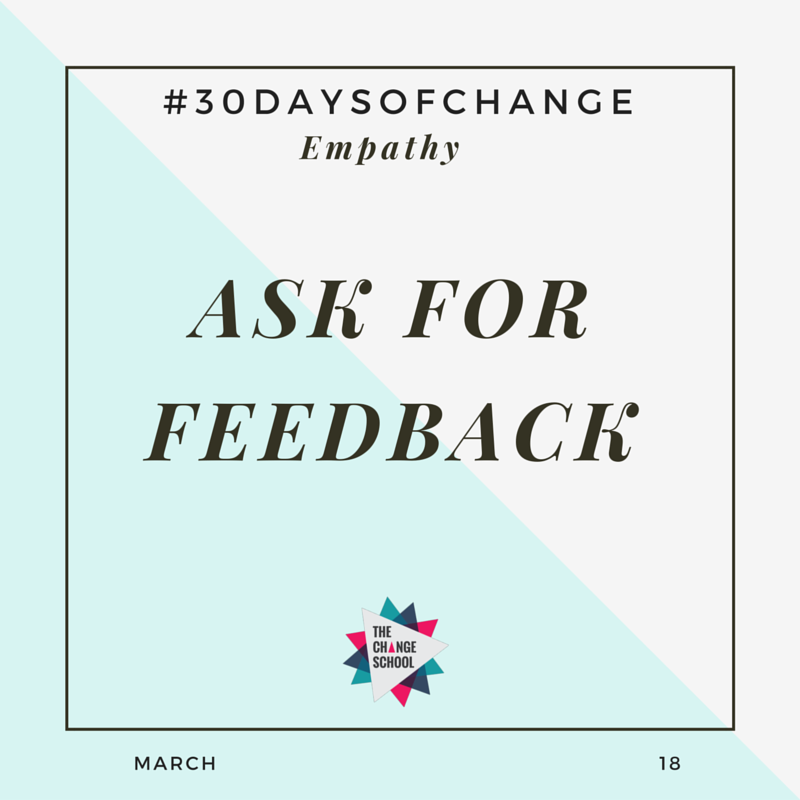 Try and listen to people who could be considered as empathetic leaders and see if you can practice your tone to match theirs. 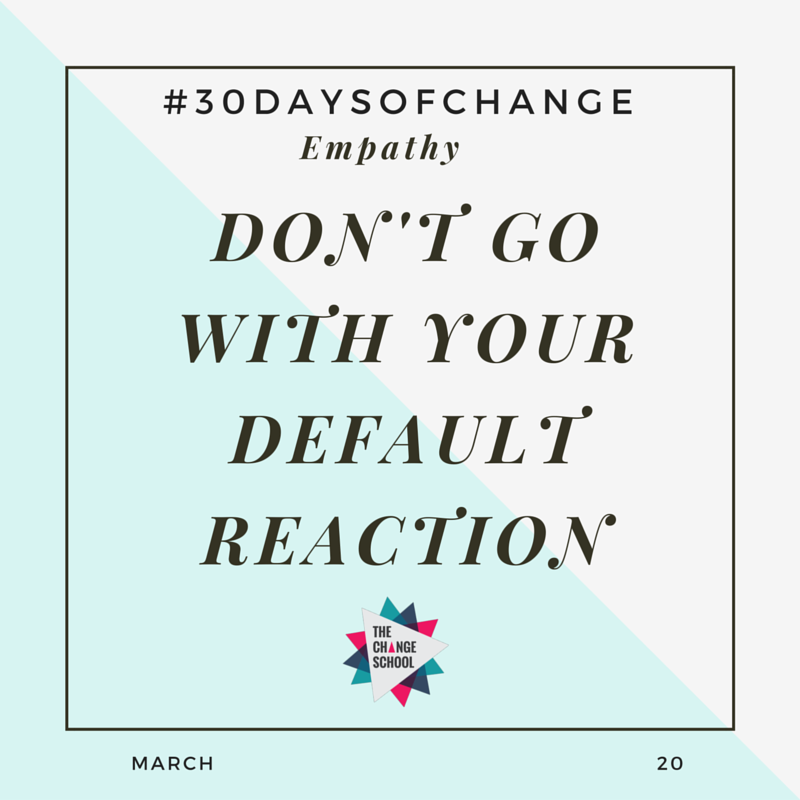 20 – Don’t go with your default reaction. If you come to a disagreement with someone today or this week, don't go with your default reaction. Take a moment internally and take the opposing view point. 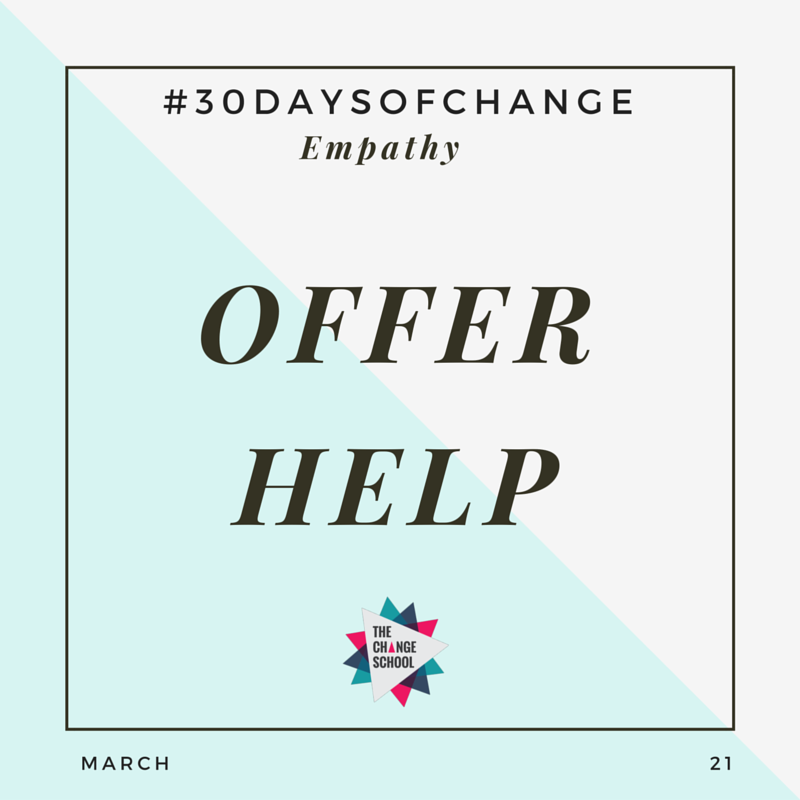 21 – Offer help. A small bit of help can be a really good act of empathy. Offer someone you meet today some help. Open the door for someone, buy a coffee for the person behind in you in the line, give a seat up to someone in the train or bus. The gesture of offering is overlooked and can really make someone's day. 22 – Volunteer your time. There are plenty of people in need in this world and one way for us to build our empathy skills is to volunteer. 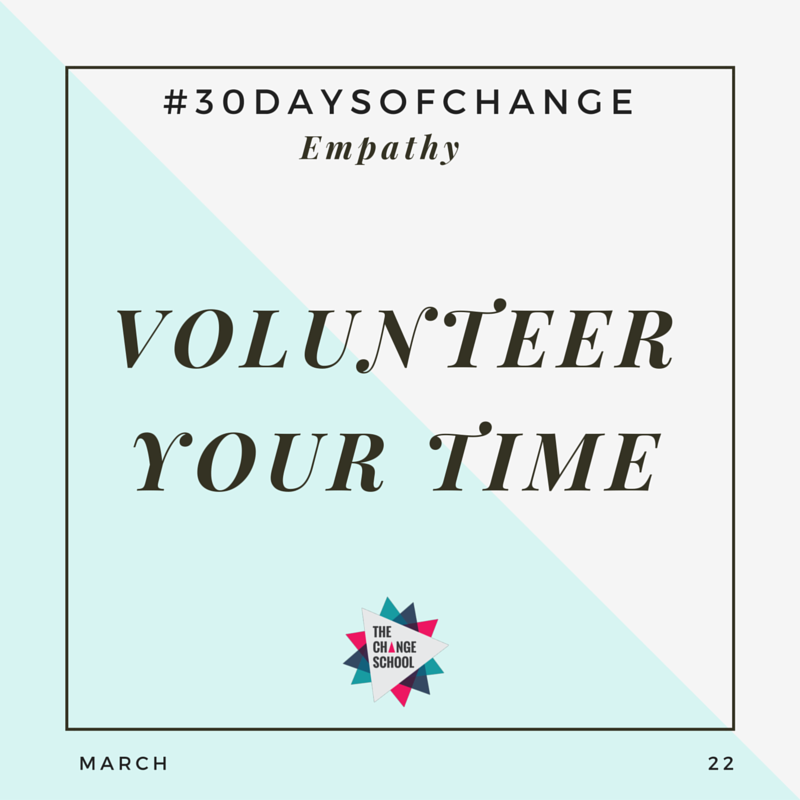 If you want to really understand empathy, volunteering will help you connect with others and realise what the needs of the community are. Dedicate sometime to volunteering or at least give it ago. 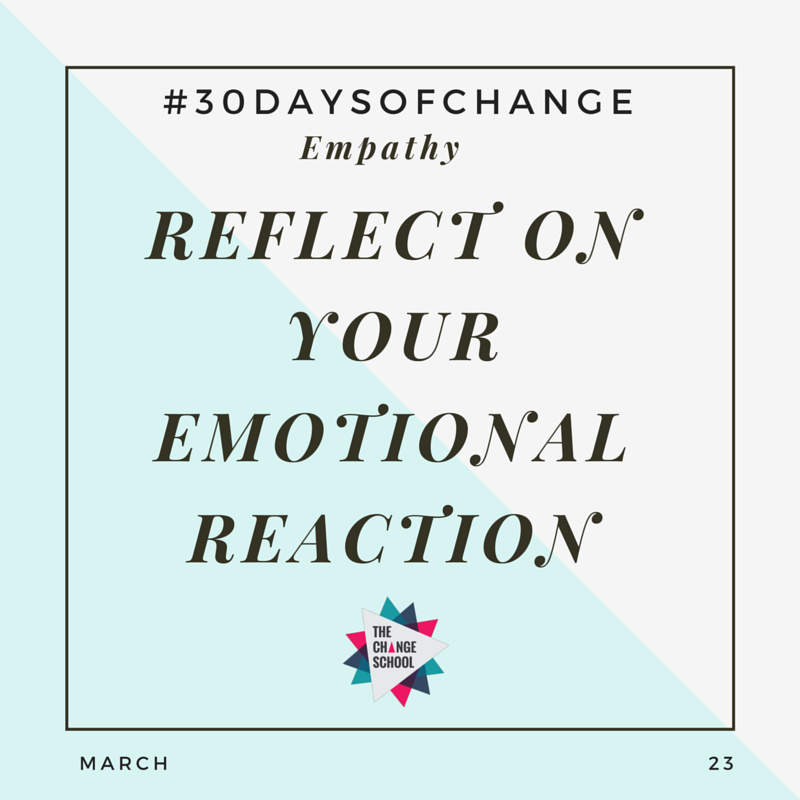 23 – Reflect on your emotional reaction. Earllier this month we shared the importance of practising active listening. When you're speaking with someone reflect back your emotional reaction. How were you reacting? By reflecting on our own emotional reactions we will better understand why others may react the way they do to us. Regulating your own responses is a key part of empathy. 24 – Use your imagination. As a young child many of us would have had wild imaginations, but as we grow up we tend to lose this ability. 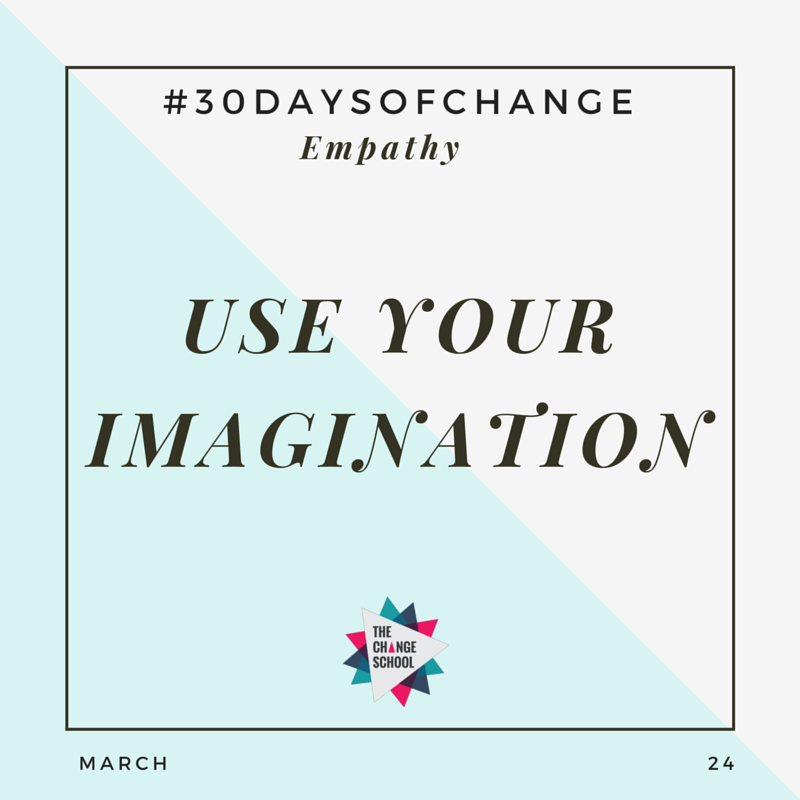 Having a good sense imagination can actually help us in practising empathy. Today try and work on your imagination. Working on having a good imagination allows you to shed some light on how someone else may feel. We can't understand every experience someone could feel but buy imagining certain situations it can start creating the foundations for better understanding of others. 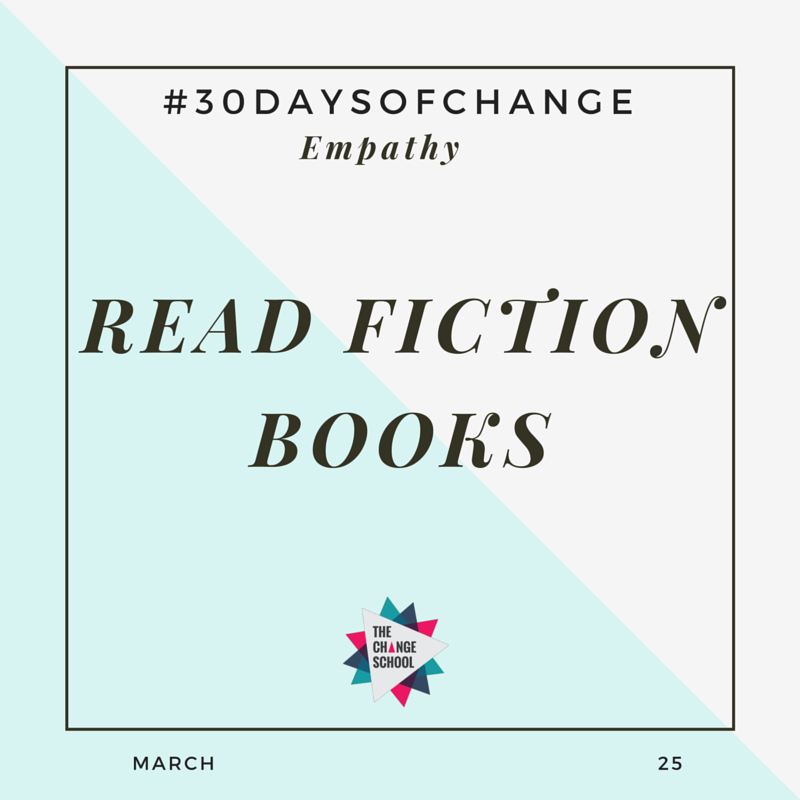 25 – Read fiction books. Building on from yesterday if you struggle with imagining situations try reading fiction books. Not only will this help in sharing different scenarios this will also enable you to understand different situations and work with putting yourself in someone else's shoes. 26 – Avoid ‘Why’ questions. 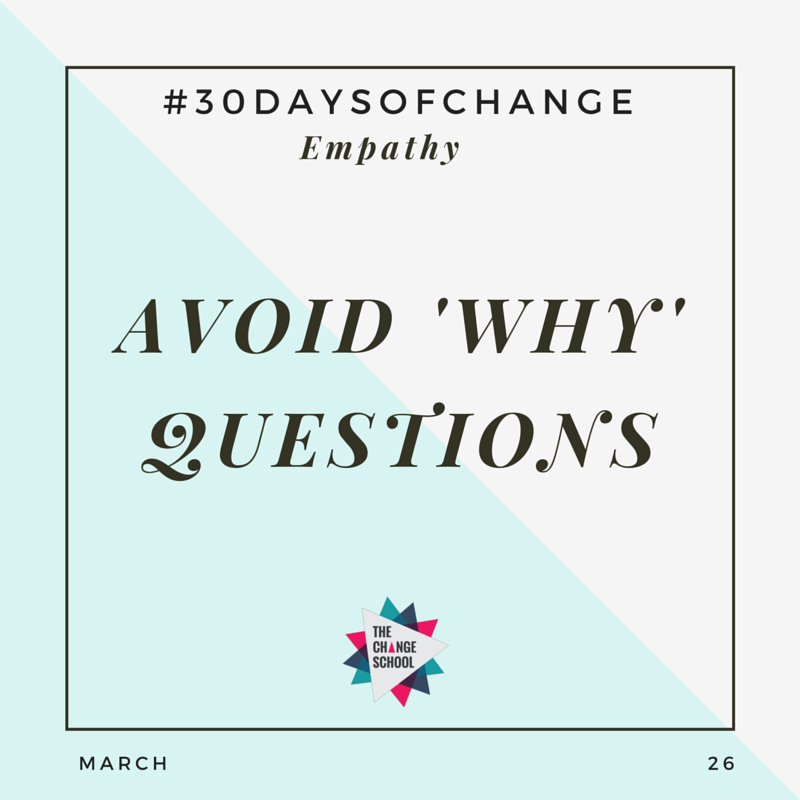 When we are trying to build empathy and are in the middle of a conversation to really understand the other person's point of view, avoid using 'Why' questions as it can come across as accusatory. 28 – Be sincere. There is nothing more important than being sincere and being authentic when you are building relationships. 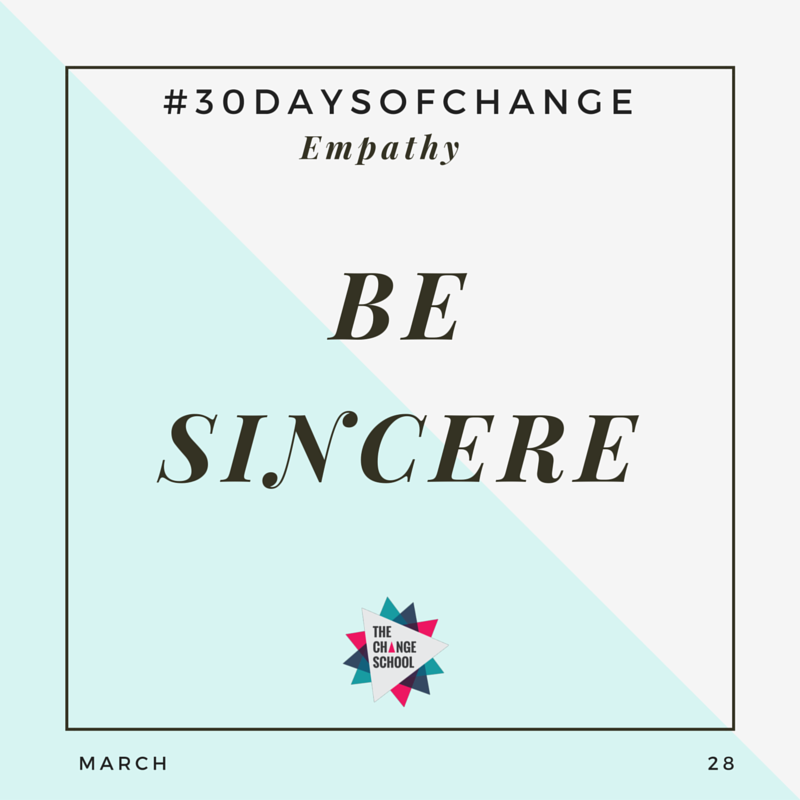 As much as you may want to build empathy it is important to ensure that you are genuinely showing empathy, otherwise other people can sniff out your insincerity. If you're struggling with being sincere perhaps try mentioning to the person that you are working on building your empathy skills. Be transparent, be sincere. 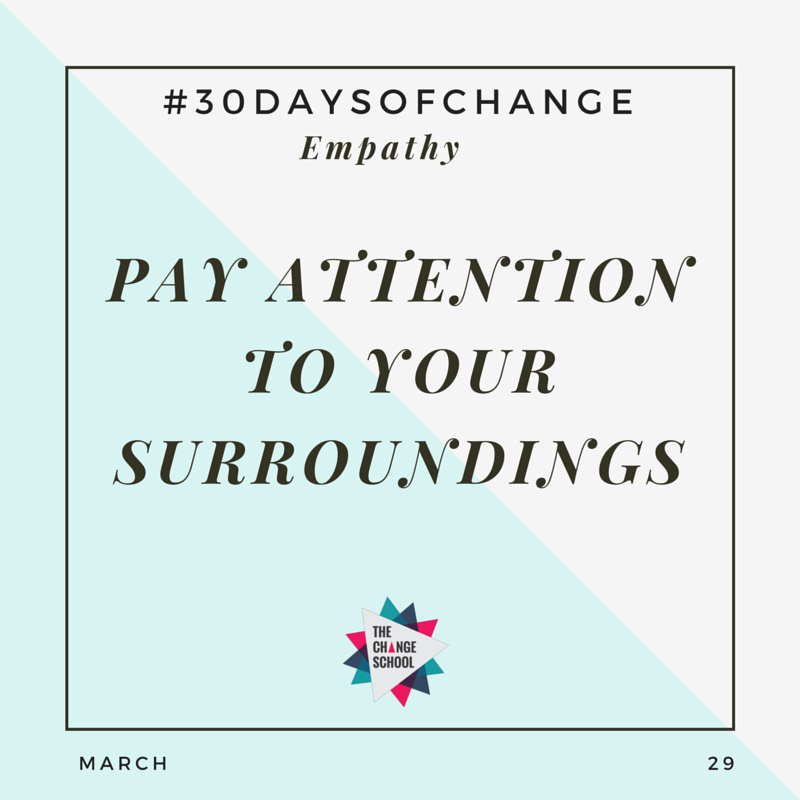 29 – Pay attention to your surroundings. When walking around pay attention to your surroundings. Focus your attention outwards and be mindful of smells, sounds. As you tune in more to your surroundings observe carefully how people are acting and be conscious of the world around you. 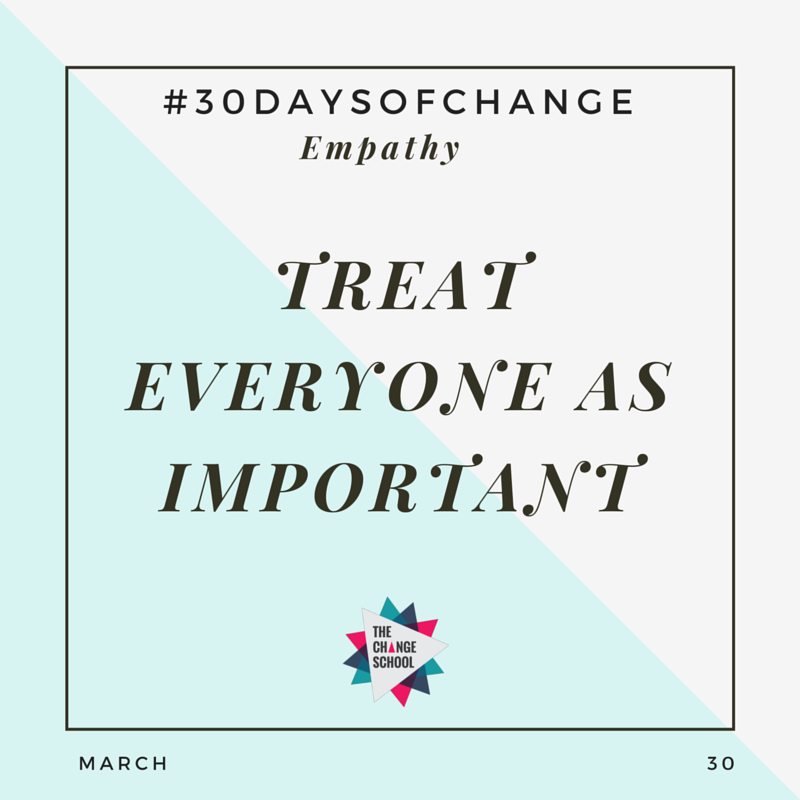 30 – Treat everyone as important. Give everyone the same level of respect. Acting superior to others doesn't benefit anyone so don't disregard anyone else as being less important. Work on treating everyone you meet today with importance. We are all flawed in our own ways and we must respect one another. 31 – Meditate. This isn't the only way meditation can help but build a routine to practice meditating loving-kindness. 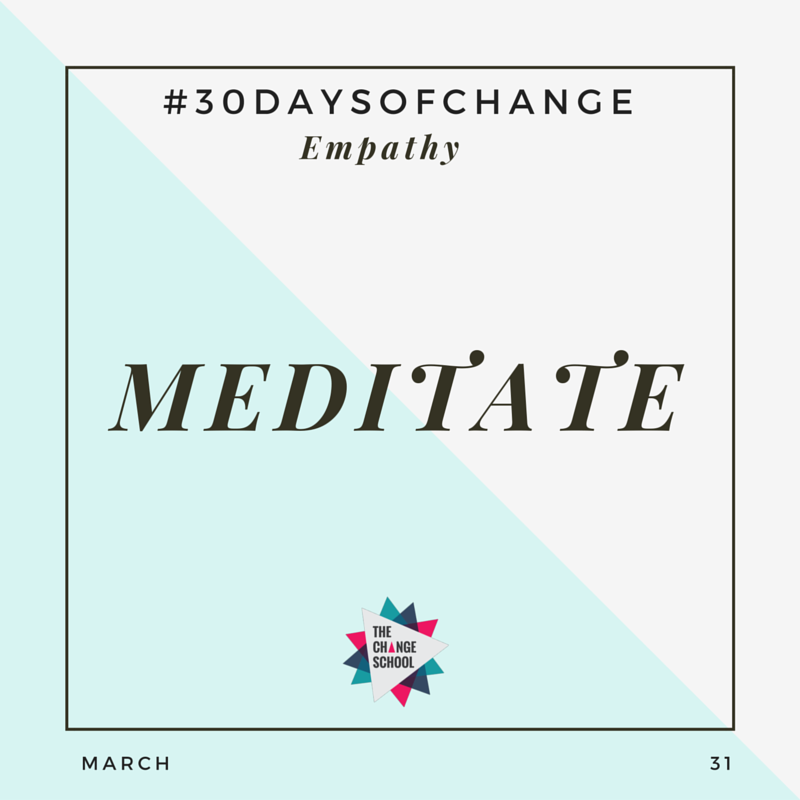 End your month of practicing empathy with a good meditation session and visualise what loving kindness is and imagine it within you. A meditation routine will help you with your empathy skills but with so much more in life. Just take out 5 minutes a day and you'll feel the difference.